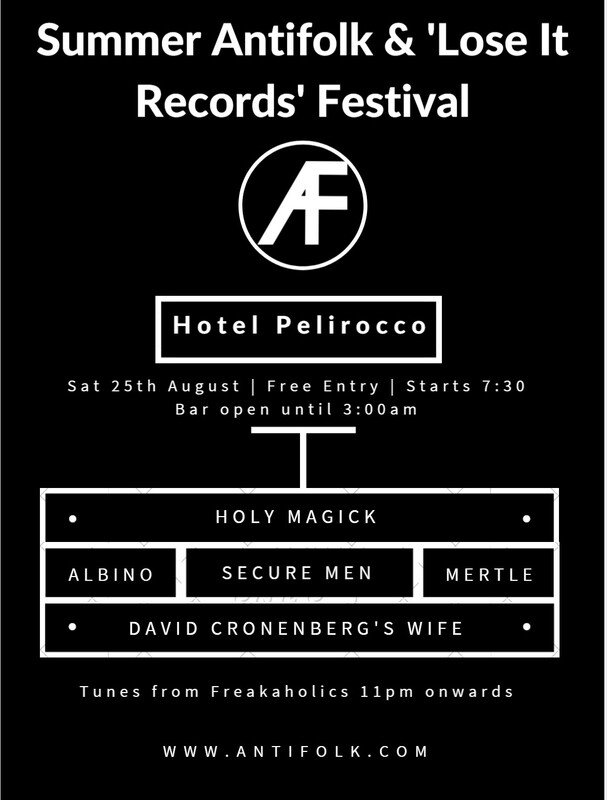 Antifolk.com, in association with ‘Lose It Records’, host a Summer Antifolk Mash-up at the infamous Pelirocco Hotel in Brighton on Sat 25th August. Free entry. 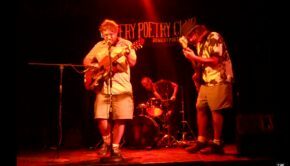 Antifolk.com and Brighton’s hottest new record label, Lose It Records, host a summer mash up festival. The night features a debut gig from new band Holy Magick, led by former Death in Vegas and Dark Horses member Dom Keen. 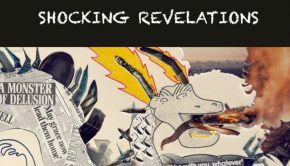 London Antifolk storytellers, David Croneberg’s Wife, feature dark tales that cut closer to the bone than a Yorkshire butcher. New Brighton super group – Secure Men (featuring Filthy Pedro and Jack Medley) – fresh from supporting Warmduscher on their debut gig at the Hope and Ruin, bring a new brand of electro-guitar mayhem. 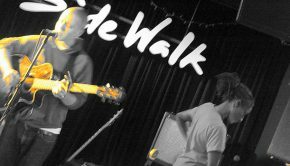 One of London’s best kept secrets, cult band Albino, bring their sweet melodies to the seaside. Alcoholic Garage Rock band with added melody. The night also see the long awaited return of Brighton’s Mertle, one of the original UK antifolk artists. Opening up the night with her first gig for years. After band DJ set from the Freakaholics. Saturday, 25th August 2018. Starts at 7:30, but bar will be open most of the day. Bar closes at 3am. 10 Regency Square, Brighton, BN1 2FG. 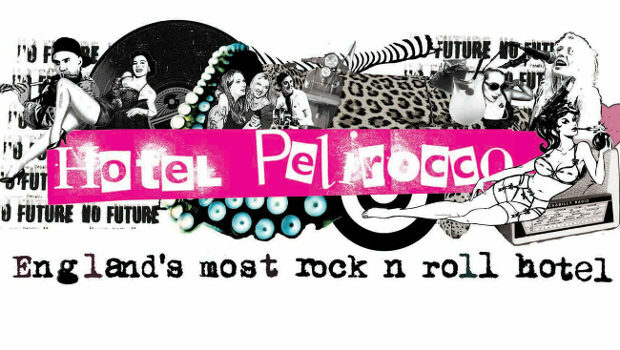 01273 327 055, www.hotelpelirocco.co.uk.